Delicious buffet in Restaurant Proef! Delicious buffet at Restaurant Proef! An extensive, diverse and flavorful buffet. Delicious dishes and something for everyone. Choose an upgrade with, among other things, a steak or gambas. For € 27.95 per person (at least 15 adults). 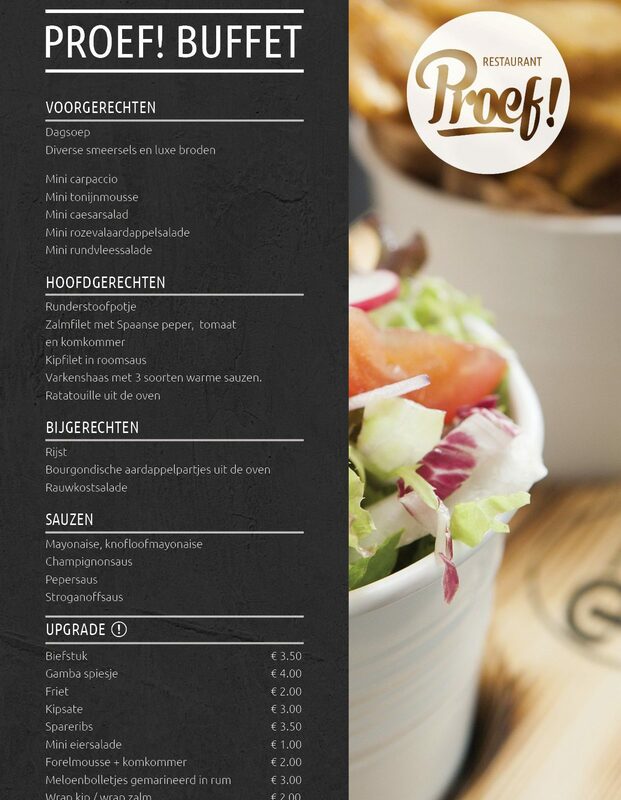 Book your Buffet in Voorthuizen directly online!